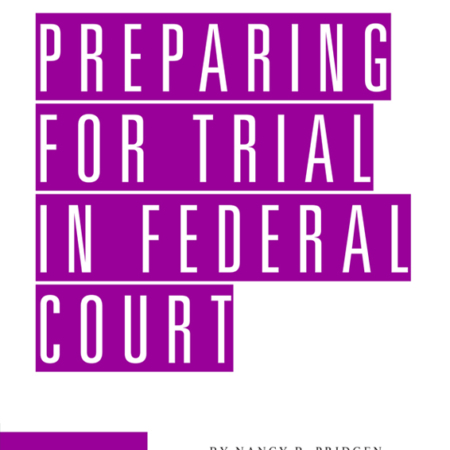 With more than 800 pattern voir dire questions covering civil and criminal cases, and a practice-proven method for engaging jurors and uncovering potential biases, Effective Voir Dire will help you get more jurors excused for cause; make informed decisions about exercising your peremptory strikes; and handle every phase of voir dire with confidence. by Carolyn S. Koch, J.D. Many lawyers – even seasoned trial lawyers – take a casual approach to jury selection: They show up for court with no prepared questions, and they do more talking than the prospective jurors do. As a result, they learn little about the prospective jurors and are forced to rely on stereotypes and “gut instinct” in making decisions about who should stay and who should go. Simply put: This approach does not work. This four-step approach will help you (a) identify the jurors you need to worry about; (b) get jurors talking, so that they voluntarily reveal the biases that will hurt your client; (c) get more jurors excused for cause; and (d) make well-informed decisions about exercising your peremptory strikes. Once you know how the four-step approach works, Effective Voir Dire shows you how to use it, by providing sample voir dire for common fact scenarios in six distinct practice areas: motor vehicle accidents; slip, trip and fall; medical malpractice; products liability; employment; and criminal cases. Q: Have you ever worked in a place where people made racial comments or jokes? If yes, did you consider the comments to be generally harmless or to be harmful? Was the conduct so significant that you think a lawsuit should have been filed? Why? Analysis: Both plaintiffs and defendants will learn a lot by asking “Do you think a lawsuit should have been filed?” Not only will you learn whether the juror views the comments as harmful, you also will learn where the juror falls on the “lawsuit” spectrum. Most people think lawsuits should be reserved for only the most serious matters. Therefore, if a juror describes horrible comments and vehemently objects to a lawsuit, or, conversely, describes innocuous comments and vigorously supports a lawsuit, you will get your money’s worth out of this question. Q: What basic expectations do you have for doctors in caring for a patient? Analysis: “Expectations” are different than “qualities.” Qualities are what a juror is looking for in a provider, e.g., “good listener,” “really smart,” “willing to stick with a problem until a solution is found.” Expectations apply to treatment. Does a juror expect a doctor to solve the problem? To solve it quickly? To confer with experts in the field to get to the bottom of something? Or, does the juror say, “Gee, I never really thought about it. I guess I expect them not to make me sit too long in the waiting room.” You want to know what jurors’ expectations are so that you can meet those expectations during the trial or, if the facts of your case are such that you cannot meet those expectations, try to get the juror excused. Q: Do you think the government’s practice of giving out more lenient sentences to cooperating witnesses is a good thing or a bad thing? Analysis: A prosecutor might not like the phrasing of this question, but that is the practice: Leniency is granted in exchange for cooperation. Some jurors have a real problem with this. Defense lawyers want to know if jurors are “all for” any means of getting a conviction. Prosecutors need to know if this will undercut their case and cause a juror to discount any testimony that comes out of a cooperating witness’s mouth. This question also begs for follow up. The prosecutor needs to identify exactly what about this practice bothers a juror and why. A defense lawyer needs to know if a juror thinks this is a good thing or just an acceptable part of the system, and why. Carolyn S. Koch, J.D., is a trial consultant and the principal of Jury Solutions LLC, in Fairfax, Virginia (www.jurysolutions.com). An attorney admitted to the Connecticut and D.C. Bars, Ms. Koch has over twenty years of experience with in-court assistance during jury selection, as well as conducing mock trials, focus groups and online research projects. She uses these tools to assist trial attorneys in both civil and criminal cases, all over the country. Her consulting practice has ranged from large corporate clients such as McDonalds, Wal-Mart, Lockheed Martin, Bechtel, and Exxon Mobil, to small and medium-sized companies. She has also successfully worked with many individuals in high-stakes litigation against defendants with far greater financial resources. Her work has helped plaintiff’s employment lawyers achieve some of the highest verdicts in New Jersey state history, including a 10-million-dollar punitive damage award against Avaya Corporation. She also assisted the defense in the high profile criminal case of United States of America v. Richard Convertino, a former AUSA for the Department of Justice who was acquitted of all charges in one day, after a four-week jury trial.